Practice doesn’t have to be a chore, it’s a chance to compete, have fun, and improve in the process. Nevertheless, getting some golfers to practice is like pulling teeth. Just by making the choice to improve and making it to the range, you'll be well on your way to dropping your handicap. You literally just have to show up. The process of improving your golf game is like taking your vitamins. There are some things that you must practice every. Single. Time. It’s non-negotiable, like being a responsible adult and taking your vitamins. You’re already at the practice course, you may as well get better. Don’t waste time by just going through the motions. Implementing structure into your practices will get you more out of your limited time. Golf is a mental game. Train your golf brain with a variety of games that will let you to take your best practice game to the course. If you’re scoring in practice, you bet you’ll be prepared to score when it matters most. What's the difference between 'block' and 'skill' practice? How much time should you devote to each? Do you have a plan before you hit the range? In this course, Eric will provide you with the essentials you need to structure an effective practice. Practicing 'block' and 'skill' fundamentals is like taking vitamins. It's non-negotiable. In this course, Eric teaches you how to practice mechanics properly and to build a game that transfers to the course. 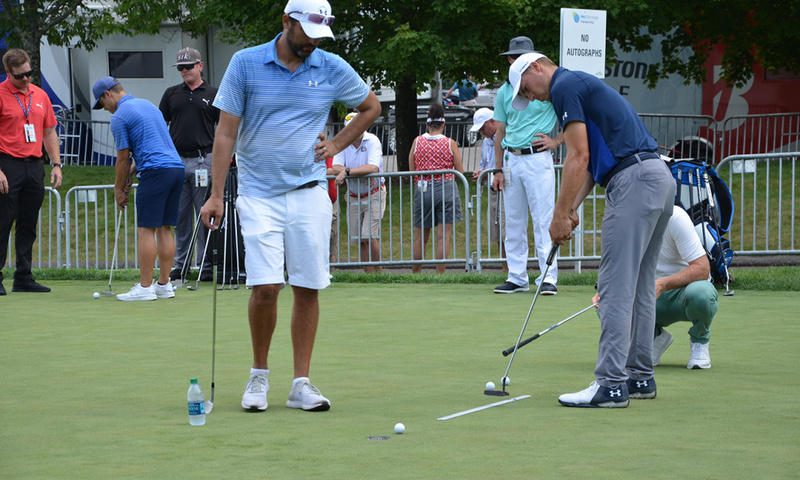 In order to master putting, you must first perfect the mechanical fundamentals of putter path and start line control. In this course, Eric provides you with an easy-to-remember practice routine and a variety of drills to freshen up your practice. As with all other aspects of the game, there is a very specific sequence of fundamentals you must practice when chipping. In this course, Eric helps you develop a routine that incorporates 'block', 'skill' and 'game-like condition' practice.